You will be well boiled and cooked when listening to that. 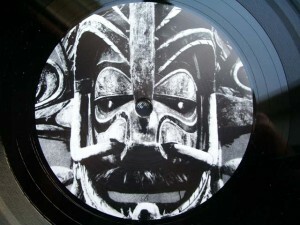 A cannibal feast is introduced with “Angewandte Muziek” where dry and fierce percussion accompanies the track. Crowd exclamations and synth drum wildfires leave no doubt that you have been stranded on a remote island somewhere in the Southern hemisphere – Planet of Drums and Raoul K would send greetings. “On Stages” is based on a spiralling bassline and jack elements. With shouts and whistles it creates an impression of live performace – that explains the title as well. On the flip, “Makeshift” runs on a wooden xylophone groove and softer percussion but lacks the excitement of other tracks. 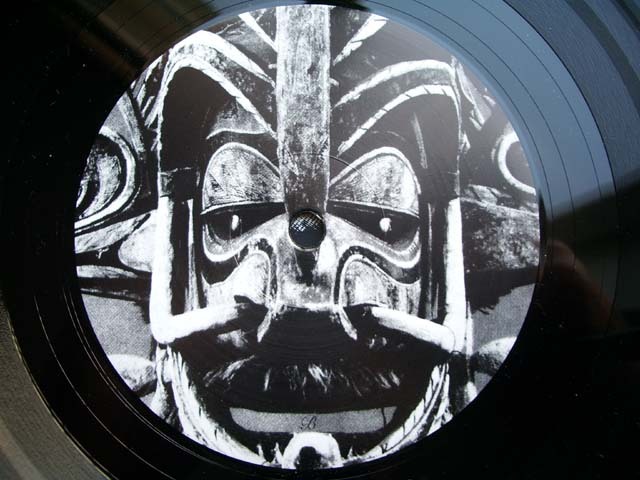 For the end you will be rewarded with ample drums: “Primitive, Persuasive, Provocative Percussion” is really a fat rhythm monster and soundtrack for tribal rites. The Durian Brothers and now Harmonious Thelonious have made Diskant a great launch and it’s definitely a label to watch out for. Not an ordinary club fare that expands the horizons.